They won't draft any new legislation, but will assemble every rule pertaining to space that's out there. When it comes to space, the law is a jumbled mess. Sure, there are international agreements like the 1967 Outer Space Treaty, but for the most part there’s no single, unifying document that lays out how countries and private companies are allowed to operate off-world. That’s why a group of universities are working on what they call The Woomera Manual, a massive project that plans to gather, clarify, and streamline all existing laws that pertain to space exploration, development, and militarization. The team, comprised of researchers from the University of Adelaide, the University of New South Wales in Canberra, Exeter University, and the University of Nebraska College of Law, has already started work. Its first U.S. meeting, which will happen from February 24 through the end of the month in Lincoln, Nebraska, is intended to broaden and diversify the perspectives and ideas that inform the finished product, which is expected to be published in 2020, according to Politico. The Woomera Manual won’t actually lay out any new guidelines. Instead it will organize and present the laws that are already on the books so that politicians, industry leaders, and others can make better informed decisions regarding activity in space. 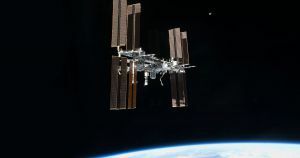 Given the fact that the Outer Space Treaty, which banned military actions in outer space, has all but been tossed aside, it’s unclear how much they’ll actually listen.